Ordering supplements online or in brick and mortar stores can be confusing and expensive. It may be helpful for you to bring you current supplements in for a Supplement Review and Recommendation appointment to help you decide which supplements should stay or go. Two important things to remember when it comes to nutritional supplements: Quality Matters and Get the Advise of a licensed professional before you invest. There are several online websites you can use to access your favorite brands and some that will allow you to purchase supplements across brands. Dispensaries that carry products across brands do not carry every item so although it may be convenient you'll find that sometimes you need to access more than one website to get exactly what you want. Ordering from one website to get everything you need will save you time, frustration and shipping costs. Wellevate.me which is through Emerson Ecologics is one site that allows you to order across supplement brands. You can set up your own account and browse the entire catalogue of supplements. If you need recommendations set up a Supplement Review and Recommendation appointment. 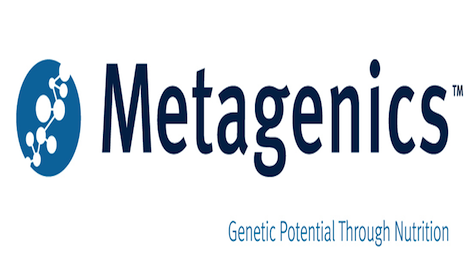 I often recommend Metagenics products. Metagenics is spearheading the movement to make nutrition a first line therapy in the prevention and treatment of disease, and the promotion of optimal health. For over 30 years, our dedication to scientific discovery, unparalleled quality, and transparency have positioned us as an industry leader in lifestyle functional nutrition. They have a line of supplements for children called MetaKids, a line of omega 3 supplements called Omegagenics and a line of Ketogenic products. One of my best sellers is their multivitamin Phytomulti. Don't forget to take advantage of the 20% discount on your first order and free shipping with a minimum order. Another line I recommend for quality is Xymogen. You will need to contact me for my secret provider code as Xymogen is only available with the support of a licensed professional such as myself. You can go to the Xymogen site and set up your account or ask me to send you a recommendation. Xymogen also has MedPax supplement packages that make taking your supplements easy, especially when you take them to work or travel. Standard Process is a whole food nutrition supplement company that uses their Patient Direct portal where patients can order directly online and have products shipped to their home. You can go to the Standard Process Patient Direct site and request an account. Give my name and telephone number and I will get an email asking if you are my patient and if I give you permission to access the Standard Process and Mediherb products. You will need to get in touch with me first to get my secret provider access code. Natura Health Products allows patients to order directly under the direction of a health care provider. Apply for a patient account and give my name and telephone number as your provider: Joyce Strong, 617-666-1122. I will receive an email from Natura Health Products to approve your account. Natura Health Products® is a leading edge provider of exceptional quality botanical and nutritional products. Fullscript is a dispensary site that allows you to order professional-grade supplements across brands from one convenient location and is associated with Natural Partners. I can provide recommendations for you through my Fullscript dispensary. And more good news! I've arranged with a Kaerwell to set up a Total Well Coach Dispensary that includes almost all of my most recommended quality supplements. Just head to the Total Well Coach Dispensary and set up your account.